Rent affordable charter buses, school buses, mini buses, shuttle buses, party buses, and limousines in Charlotte, North Carolina. Rent a bus in Charlotte. It is a great place for bus trips not only because it is one of the fastest growing cities in America but more importantly, because of the grandiose that tourists can find just east of the Catabwa River in North Carolina. We cover all of Charlotte with buses that journey through different scenic attractions within the city. These include the Carowinds, the Billy Graham Library and the Bank of America Stadium, to name a few. 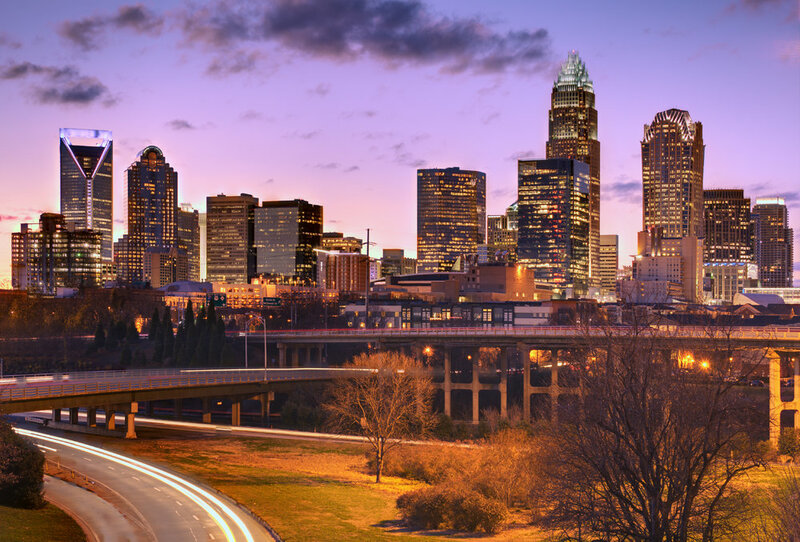 With these striking spots that grace the Queen City, you can expect that your interests are catered whether it leans towards music, art or entertainment.